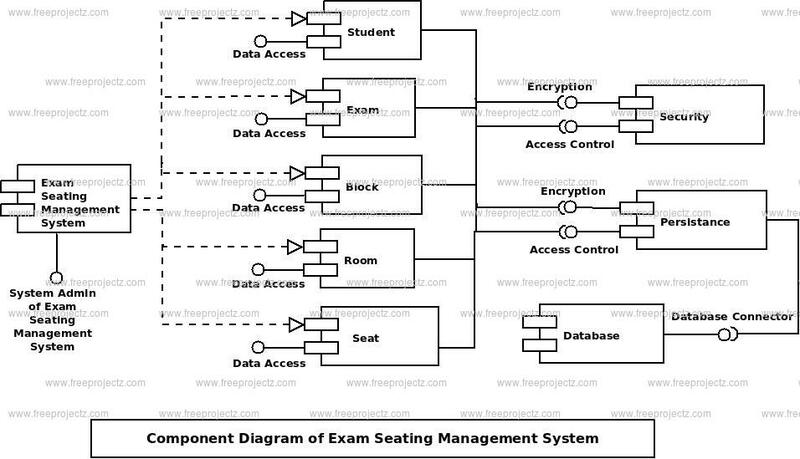 This is a Component diagram of Exam Seating Management System which shows components, provided and required interfaces, ports, and relationships between the Room, Block, Exam, Teacher and . This type of diagrams is used in Component-Based Development (CBD) to describe systems with Service-Oriented Architecture (SOA). Exam Seating Management System UML component diagram, describes the organization and wiring of the physical components in a system. You can show the models the components of Exam Seating Management System.